Wearing a helmet while you're riding a bike should be your number one priority. You can never predict when you're going to fall, so staying prepared is paramount. 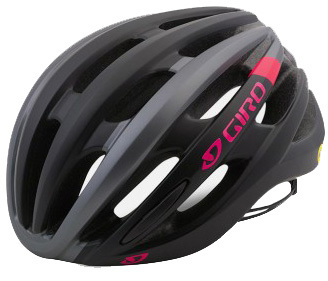 The 2019 Giro Saga MIPS Women's Road Helmet is a lightweight road bike helmet that takes its design from the premium Synthe helmet. It features in-mold construction and the Roc Loc 5 fit system with two-way fit adjustment. It has great ventilation and has three Super Fit sizes. MIPS technology helps redirect impact energy from crashes so the energy isn't transferred to your head.